The soccer news starts with another big result for Borussia Dortmund in the 2018-19 UEFA Champions League. Dortmund shutout Atletico Madrid 4-0 at home. Axel Witsel opened the scoring in the 38th minute with Raphael Guerreiro adding a goal in the 73rd. Jadon Sancho made it 3-0 in the 83rd with Guerreiro scoring again in the 89th minute. Roman Burki kept the clean sheet with two saves. Pulisic subbed out in the 79th minute. "We can be happy and satisfied today," Dortmund's Mario Gotze said. "We couldn't have imagined it going any better. We all attacked and defended together and our teamwork set us apart. We were extremely varied up front, we moved well in the spaces and scored at important times in the game. We want to take this momentum with us now." Borussia Dortmund leads Group A with 9 points from 3 games, ahead of Atletico Madrid by three points. In the other Group A game, Ethan Horvath was on the bench for Club Brugge's 1-1 home draw with Monaco. Trailing from the 31st minute, Wesley Moraes equalized for Club Brugge in the 39th. Weston McKennie subbed on in the 82nd minute for Schalke's 0-0 draw at Galatasaray in Group D. Schalke outshot Galatasaray 17 to 7 putting 8 on goal to Galatasaray's 2. Timothy Weah wasn't in the squad for PSG's 2-2 home draw with Napoli in Group C. PSG trailed from the 19th minute, equalizing through an own-goal in the 61st. Napoli went ahead again in the 77th with Angel Di Maria equalizing three minutes into stoppage time. Goal's Ives Galarcep looks at the rumored candidates for the USMNT job. MLSsoccer's Matt Wiebe previews MLS in the 2019 Concacaf Champions League. In The Athletic, Paul Tenorio reports on potential changes to homegrown territories in MLS. AP with MLS adding sleeve ads. 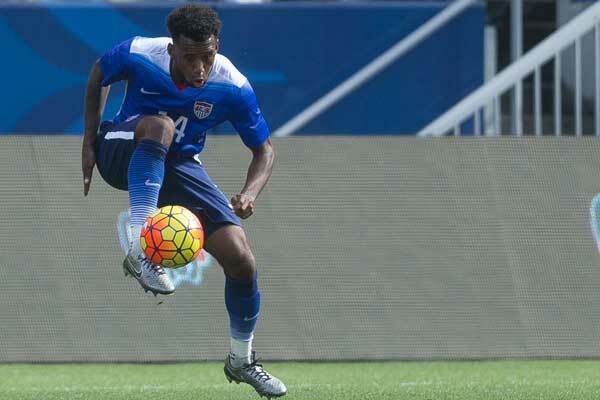 American Soccer Now's Brian Sciaretta profiles Philadelphia Union and USMNT U-20 player Mark McKenzie. Columbus Business First's Emily Bench reports on the deal to keep the Crew in Columbus. The 11's Steven Sandor on the issues the CanPL is facing with soccer in Canada. The Independent's Miguel Delaney looks at the concept of the "big 6" in the Premier League and competitive balance. The NY Times' Tariq Panja reports on Ligue 1 clubs interested in American ownership. Keir Radnedge has Ligue 1 clubs questioning their international TV rights. Inside World Football's Paul Nicholson with Spurs hoping to play at their new stadium before the end of the year.